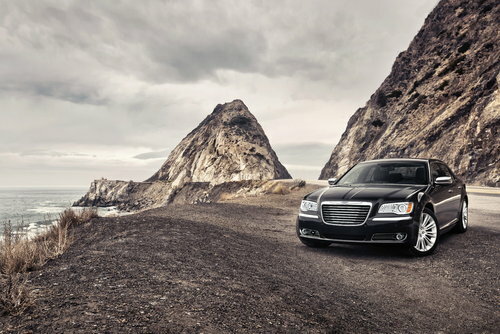 January 10, 2011, Auburn Hills, Mich. - Delivering the stylistic distinction, technological innovation, premium E-segment sedan features and quality at a legendary value, the all-new 2011 Chrysler 300 sedan made its world premiere at the 2011 North American International Auto Show (NAIAS), writing a new chapter in the brand's legendary history, while setting a new course for the American brand. 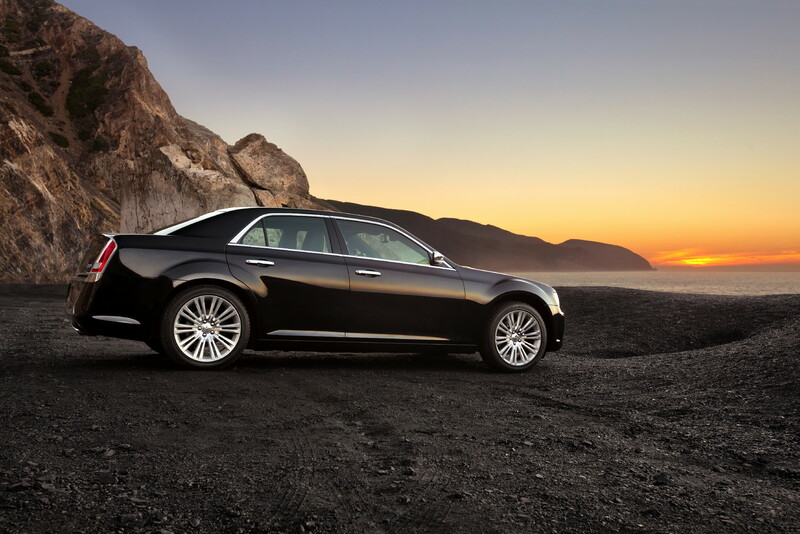 "The all-new 2011 Chrysler 300 is an icon of American ingenuity and symbolizes the greatness Detroit-designed vehicles offer the streets, highways and boulevards of the world," said Olivier Francois, President and CEO -- Chrysler Brand, Chrysler Group LLC. "From its premium materials, state-of-the-art connectivity features, new chassis architecture and best-in-class power, the all-new Chrysler 300 embodies the brand.s new attitude in every detail. And to ensure our all-new Chrysler flagship delivers more than unmistakably bold and powerful American style to our customers, the Chrysler 300 team benchmarked the craftsmanship, technology and refinement of the segment.s best sedans to deliver a new world-class quality and performance symbol at an attainable price." The all-new 2011 Chrysler 300 sedan embodies the essence of the new Chrysler brand: delivering passion for design, people and the environment through expressive design, state-of-the-art connectivity and world-class levels of quality and efficiency. With more than 55 years of elegant proportions and head-turning style, the all-new 2011 Chrysler 300 delivers contemporary styling with design details unexpected in the segment. At the front, an all-new grille features seven deeply sculpted horizontal blades that express precision. The liquid-chrome finish of the blades and the new Chrysler wing badge provide a unique contrast against the beautifully drawn bright-chromed grille surround. Illuminating the road ahead are signature "key slot" headlamps with a scalloped lower edge. Inside, bi-functional projector headlamps are nestled next to LED-illuminated daytime running lamps, which together form a "C" shape for unmistakable on-road presence. The profile of the all-new Chrysler 300 features the distinctive proportions of its predecessor with added design refinement for a more tailored appearance. Dramatic front-fender forms rise above the sculpted hood and are echoed by rear-quarter forms, which rise above the deck lid and travel down the vertical taillamps for an unmistakably bold signature silhouette. For improved aerodynamics and visibility, the all-new Chrysler luxury flagship's windshield has been raked back 3 inches, while rolled-framed doors with thinner pillars improve outward visibility by 15 percent. 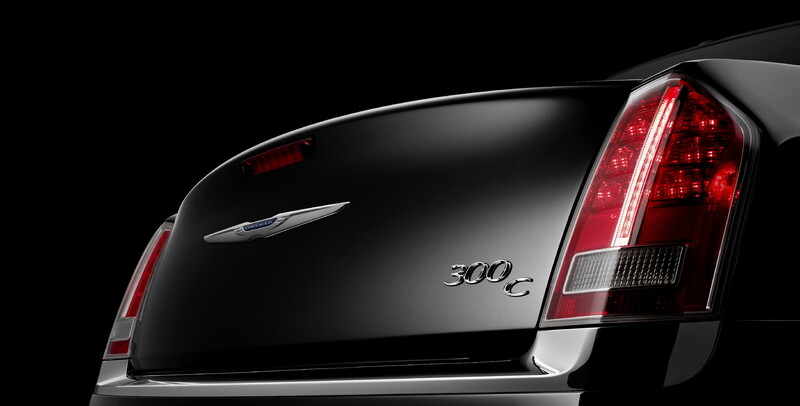 Elevating the all-new Chrysler 300 sedan's rear-view presence is an integrated deck-lid lip spoiler with the new Chrysler wing badge proudly centered below. Jewel-like rear taillamps feature harmonious LED illumination, while signature "light pipes" illuminate for an alluring nighttime appearance. Straddling the vertical lamps, Chrysler 300 sedan.s rear fascia integrates a chrome applique seamlessly connects the taillamp elements while emphasizing the road-holding stature of the flagship sedan. Hinting at the flagship sedan's performance are two fascia-mounted oval dual exhaust tips. 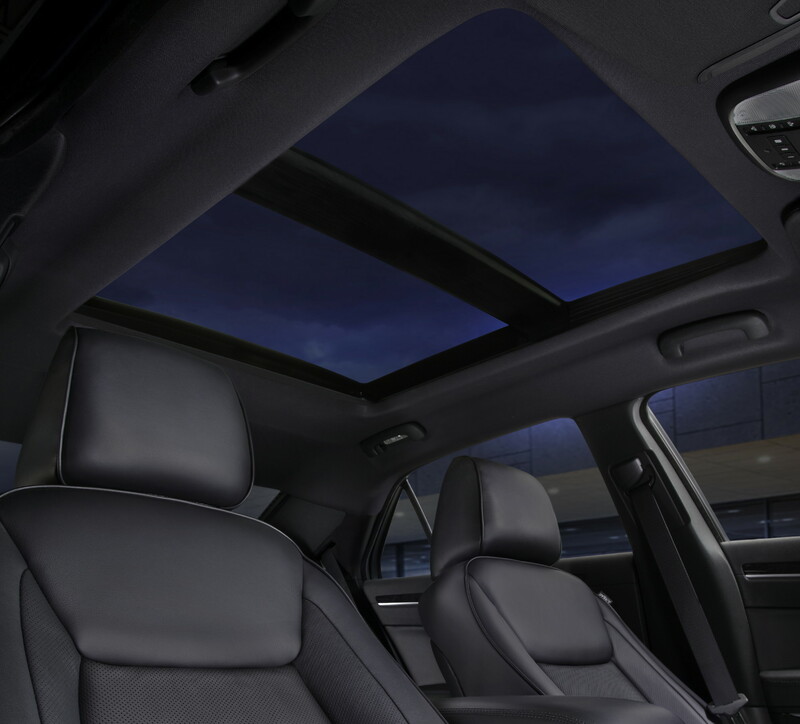 Combining world-class accommodations with American style, the all-new Chrysler 300 sedan's interior delivers expressive style, authentic materials, passenger comfort features and precise fit and finish. 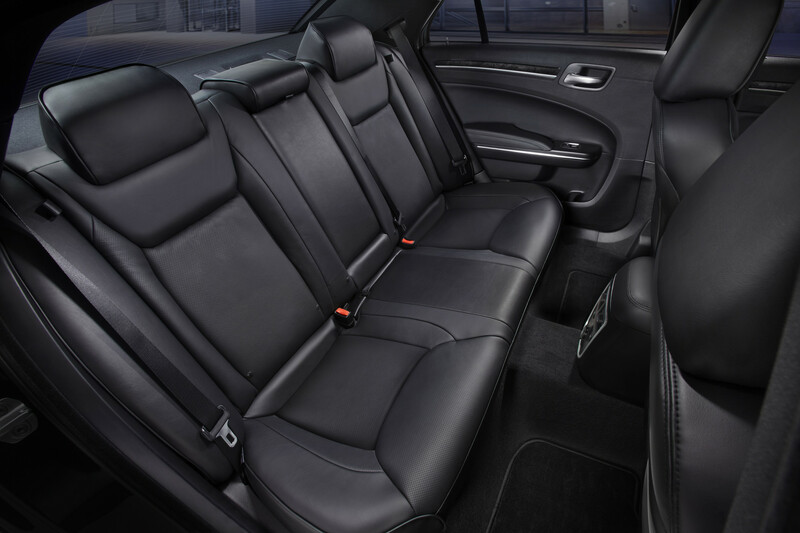 Substantial interior upgrades on the all-new Chrysler 300 consist of soft touch materials, premium interior trim, available heated and ventilated Nappa leather seats, and real wood applique the instrument panel, doors, center console and steering wheel. Designed to exude a luxurious environment, the 2011 Chrysler 300 sedan features cast-skin instrument and door panels with three-dimensional dual gloss graining for a premium appearance and suppleness. Bright chrome contrasted with satin chrome accents give the Chrysler flagship sedan the appearance of milled aluminum. For added detail, a new instrument cluster features two large gauge faces with Sapphire Blue illumination and chrome ring accents. Providing a premium and contemporary environment is an all-new Sapphire Blue LED-illuminated ambient interior lighting. Delivering best-in-class comfort, all-new seats were engineered with premium architecture and include a serpentine (S-shaped) spring suspension, all-new front-seat backs with four-way lumbar system that actuates up/down and fore/aft, and variable density foams applied in the lower seat, seat back, and bolsters for enhanced comfort "tuning". Redesigned from the ground up, the all-new 2011 Chrysler 300 is the freshest entry in the U.S. standard full-size vehicle segment. While the standard full-size segment share has consistently held around 4 percent for the last 3 calendar years, the all-new Chrysler 300 series sedans will re-ignite the segment delivering elegant style, grand-touring performance, best-in-class seat comfort and the precision and quality of the world.s best E-segment luxury sedans at an attainable value. 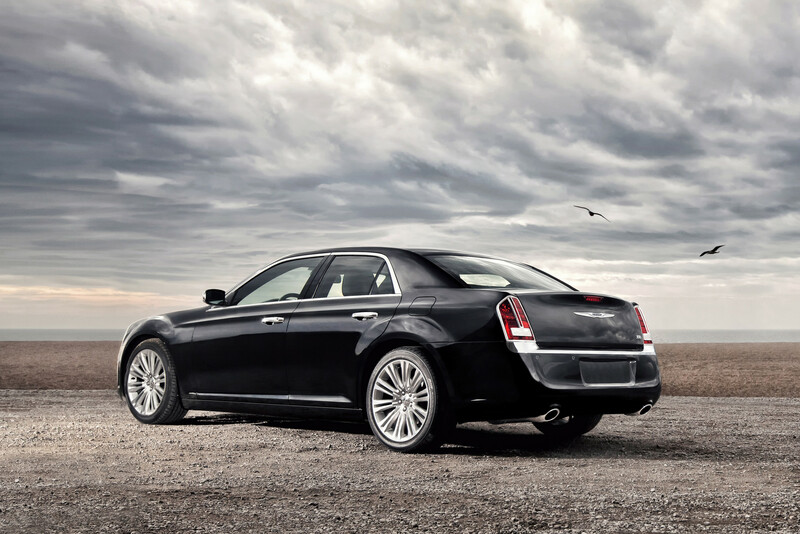 Buyers of the 2011 Chrysler 300 sedan are inspired by thoughtful innovation, are passionate about driving and are interested to express their creativity and distinct personality through new experiences. The all-new Chrysler flagship sedan meets their demands by combining superior styling, confident handling, and the craftsmanship, premium details and technology that reinforce driving as a fun and pleasurable experience. 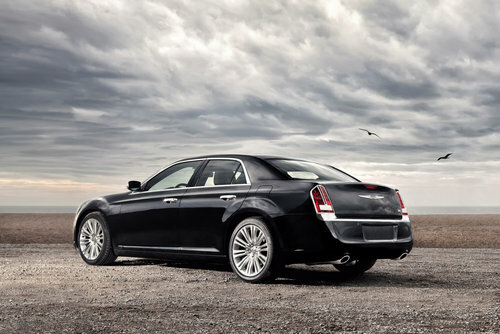 All-new 2011 Chrysler 300 series sedans are available in the United States in four highly equipped models: Chrysler 300, 300 Limited, 300C and 300C AWD. In addition, the Luxury and SafetyTec Groups provide customers with high-value content and innovative technology directly targeted for their specific needs. 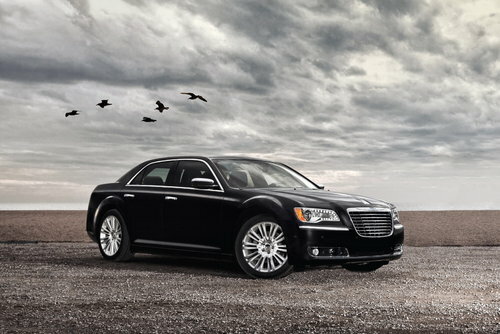 Engineered and executed to deliver a world-class luxury sedan experience, the all-new 2011 Chrysler 300 sedan's world-class body structure and chassis deliver a level of quality, capability and refinement that rival the best E-segment competitors from Europe, Asia and North America. 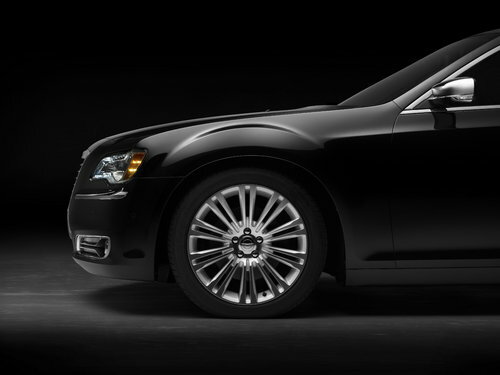 Maximizing its new ultra-rigid structural design, the all-new Chrysler 300 features quietness among the best in the segment. The all-new Chrysler flagship's unibody packages material and structural design improvements, including two premium-composite underbody panels that provide more than eight feet of acoustic insulation, dual-pane acoustic windshield and front-door side glass, body-cavity silencing foam, under-flush rolled-framed doors with triple seals and acoustic wheel-well liners, all helping to absorb road noise and quiet the cabin. The all-new 2011 Chrysler 300 features Chrysler Group's new second generation E-segment architecture with redesigned front- and rear-suspension geometry delivering world-class handling, and all-new premium suspension hardware for world-class refinement. 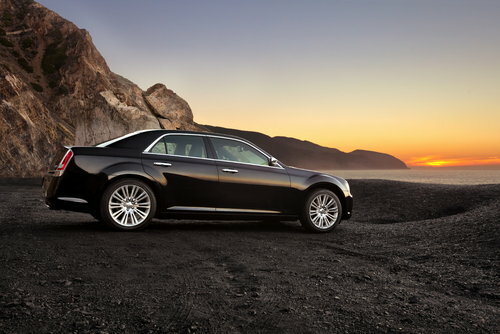 The all-new 2011 Chrysler 300 sedan's suspension delivers the grand-touring performance expected from premium European luxury sedans, to make this all-new American flagship one of the best driving sedans in the world. Taking its new second-generation E-segment architecture further, the all-new 2011 Chrysler 300C AWD delivers precise all-weather handling, world-class refinement and a lowered ride height for a more tailored appearance. The all-new Chrysler 300C AWD features a 0.5-inch (13 mm) tighter tire-to-fender fitment, a 0.15-inch (4 mm) lowered overall ride height and larger 19-inch wheels with wider P235/55R19 all-season performance tires. Best-in-class 292 Horsepower with All-new Aluminum 3.6-liter Pentastar V-6 Engine. Engineered to provide exceptional in-town and highway efficiency and performance, the all-new 2011 Chrysler 300 and 300 Limited models feature the newest powertrain from the automaker -- the 3.6-liter Pentastar V-6 engine. When compared to the previous V-6 engines, fuel economy is improved by up to 8 percent with EPA-ratings of 18 city /27 highway. Delivering 292 horsepower (up 63 percent) and 260 lb.-ft. of torque (up 36 percent) compared with the previous 2.7-liter entry-level engine, the new Pentastar V-6 engine also produces 42 more horsepower (up 16 percent), and 10 lb.-ft. more torque compared to the 3.5-liter V-6. Performance has been a hallmark of the "letter series" Chrysler 300 models since 1955, and the all-new 2011 Chrysler 300C builds upon that legacy with the legendary 5.7-liter HEMI V-8 engine delivering 363 horsepower, 0-60 mph performance in less than 6 seconds and up to 25 highway mpg. In addition, the engine's innovative Fuel Saver Technology allows for seamless transition between smooth, high-fuel-economy four-cylinder mode when less power is needed and V-8 mode when more power is in demand. When running in four-cylinder fuel saver mode, the engine delivers up to 20 percent improved fuel efficiency. Most Advanced All-wheel Drive (AWD) System in the E-Segment. 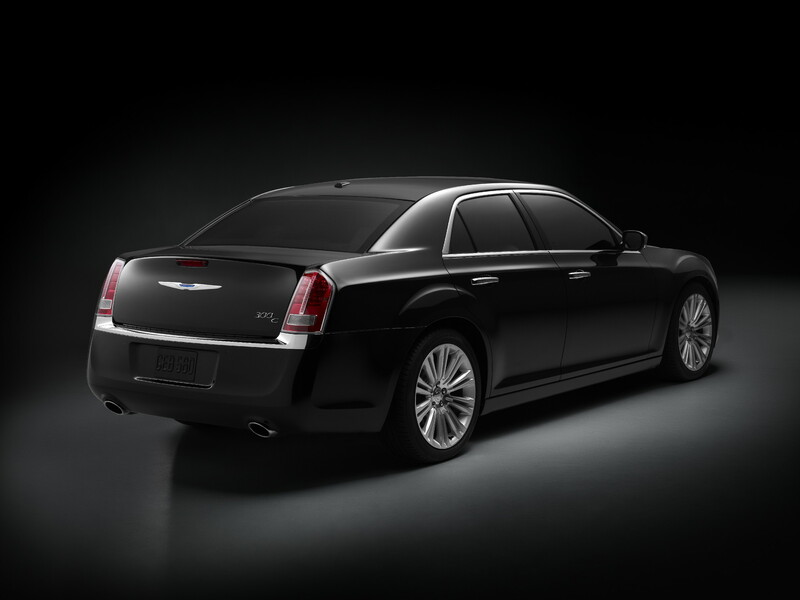 The all-new 2011 Chrysler 300C AWD model features a segment-exclusive active transfer case and front-axle disconnect system to improve fuel economy by up to 5 percent. No other major automotive manufacturer offers the combination of these two independent technologies. The Chrysler 300C AWD sedan's innovative AWD system seamlessly transitions between rear-wheel drive (RWD) and AWD with no driver intervention. When AWD is not required, the system automatically disconnects the front axle to maximize fuel economy while still providing the outstanding fun-to-drive performance and handling inherent in RWD vehicles. World-class Precision, Execution and Quality Deliver Long-term Performance and Refinement. Chrysler's commitment to providing customers with a new level of quality and craftsmanship started at the very beginning of the 2011 Chrysler 300 sedan's development. The Chrysler 300 sedans were benchmarked against best-in-class vehicles from Europe, Asia and North America to ensure world-class refinement for attributes such as material quality, interior quietness, seat comfort, and smooth and responsive handling characteristics. Chrysler engineers evaluated more than 320 physical characteristics of benchmark vehicles -- including aspirational vehicles priced tens of thousands of dollars more than the all-new Chrysler 300 series sedans. The 2011 Chrysler 300 was one of the first Chrysler Group vehicles to be evaluated by the company's Perceived Quality team at the digital design phase. The Perceived Quality team evaluates vehicles from the perspective of the most discriminating customer and works with designers and engineers to enhance the fit-and-finish, surface quality, material options and even the sound quality of moveable parts like doors and storage bins. Beginning with the all-new vehicles developed for the 2011 model year, Chrysler Group has increased the number of reliability testing miles by 50 percent. Chrysler engineers tested the 300 series sedans for more than 7 million miles during its reliability and durability evaluation in the company's scientific labs, at the proving grounds and on public roads in various climates. 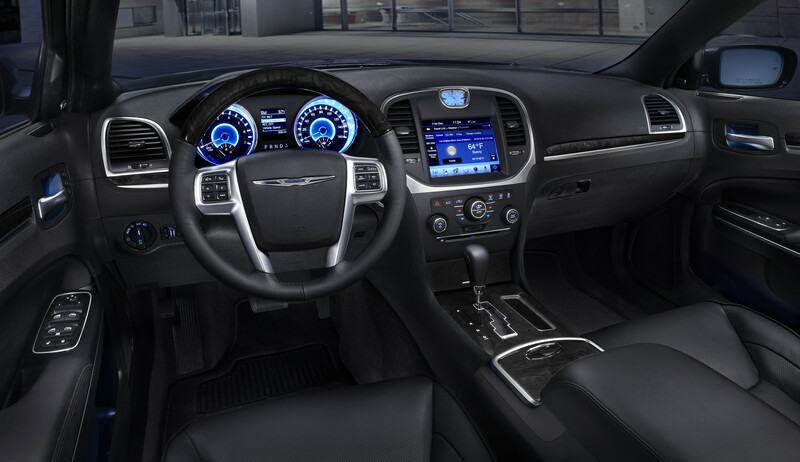 The all-new 2011 Chrysler 300 sedan.s Uconnect Touch integrates world-class infotainment and convenience technologies to keep passengers connected, comfortable and secure. From touchscreen navigation to dual-zone climate controls, to the ability to check fuel prices and personalize convenience features, Uconnect Touch makes life in the all-new Chrysler flagship sedan an excellent experience for the driver and passengers. Chrysler 300 and 300 Limited models come standard with the Uconnect Touch 8.4 model, featuring easy-to-use controls to provide class-leading technology. With its massive 8.4-inch touchscreen display and user-friendly touch-key categories, information on the Uconnect Touch is clearly displayed and connecting and controlling personal mobile devices is simple. The premium Uconnect Touch 8.4N model is available on the Chrysler 300 Limited and standard on the Chrysler 300C and 300C AWD models and includes more customer-convenient amenities than ever before, including the integration of segment-leading Garmin navigation and SIRIUS Travel Link with real-time fuel prices, movie listings, sports updates and weather. 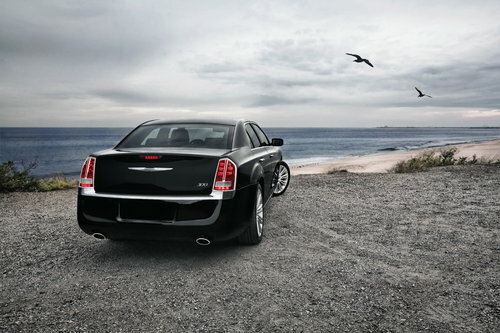 The all-new 2011 Chrysler 300 features more than 70 safety and security features, including standard Keyless Enter-N-Go and electronic stability control (ESC) with segment-exclusive Ready Alert Braking and Rain Brake Support safety features to improve overall vehicle handling and performance. 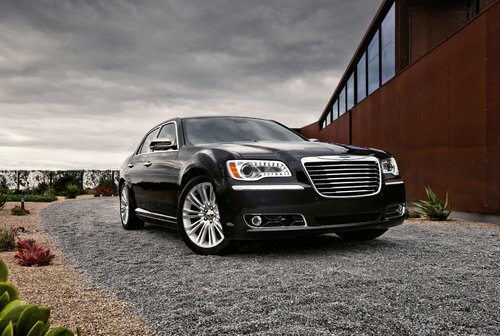 Chrysler brand's signature SafetyTec Group is available on the 2011 Chrysler 300 Limited, 300C and 300C AWD models and packages many first-time-available features including adaptive-forward lighting (AFL), high-intensity discharge (HID) projector high and low-beams with automatic headlamp leveling, Forward Collision Warning (FCW) with adaptive-cruise control (ACC), Blind-spot monitoring (BSM) with Rear Cross Path (RCP) detection, ParkSense front and rear park assist system, LED-illuminated rear fog lamps, exterior mirrors with supplemental turn signals and approach lamp (300 Limited adds HomeLink universal transceiver, rain-sensing wipers and SmartBeam headlamps to the package group). In addition, standard front-row reactive head restraints, standard full-length side-curtain air bags, driver's knee bag and standard front seat-mounted side-thorax air bags offer enhanced occupant protection to passengers in the event of a collision. For the Brampton plant, the launch of the Chrysler brand's all-new flagship sedan had to be nothing less than world class. In preparation for the launch of the Chrysler 300 series sedans, employees at Chrysler Group LLC's Brampton Assembly Plant, located outside of Toronto, began transforming the facility as part of World Class Manufacturing (WCM), an extensive and thorough process to restore all facilities to their original and maximum functionality. To further improve the quality of the all-new Chrysler 300 sedans, a new Metrology Center was installed at Brampton. Used throughout the Fiat manufacturing system, the $20 million, 35,000 square-foot facility reflects the company's heightened dedication to quality. Brampton joins Jefferson North Assembly Plant as one of the first Chrysler Group facilities and one of only a few Canadian automotive manufacturing facilities to utilize such technology. The Metrology Center employs more than 30 people, who are responsible for measurement and validation of the body geometry. The tools within the Metrology Center are used to verify the capability of the vehicle's entire sheet metal structure to the smallest of tolerances, as small as a human hair. The aim is to identify possible deviations between the product and the process.